Have you ever noticed how different people are in many ways? One person can have different skin, hair, or eye color from you; they may be taller or shorter, thinner or heavier. 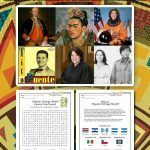 They may celebrate different holidays, dress differently, or have different physical differences, such as needing to use a wheelchair in order to get around. 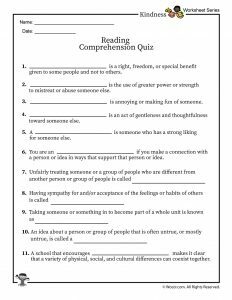 You might have one friend who loves reading and another who enjoys baseball or science experiments. While it’s important to notice how different we can be, it’s also important to know that we all have the same need for love and respect on the inside. 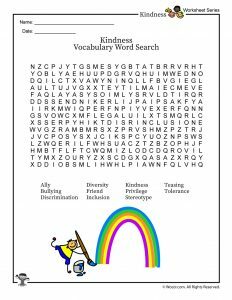 It’s also important to be kind to fellow classmates about our differences, and to learn how to be tolerant of the many ways in which we are different, too. 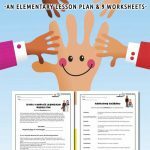 Set a kind and positive expectation of behavior in your classroom with this inclusion and tolerance lesson plan. 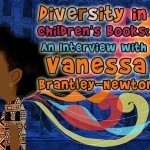 Diversity is a setting such as a classroom, school, community, town, or even country where a variety of physical, cultural, and social traits coexist. It’s important to know that not all settings are diverse, and to know how to be a good ally by including classmates who are different in ways that don’t represent the majority of students. Recognizing differences among us with sympathy is called tolerance. Instead of feeling afraid of how we are different, and/or making fun of those differences, it’s important to understand that everyone is different, and that is a good thing. 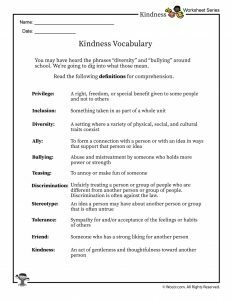 Understanding the harm that bullying and teasing does is another way to foster kindness at your school. Bullying tends to involve physical intimidation or other uses of power to make someone else feel bad. Teasing involves making fun of someone. Often people try to dismiss hurtful remarks by saying “Just kidding!”. But it’s okay to let someone know that you don’t like what someone says or how they’ve said it. It’s also important to talk with your teacher about bullying and teasing so they can help make your classroom and school a safe place for everyone. Teachers and other staff can help students remove the fears they can sometimes have when they see someone who is different from them. 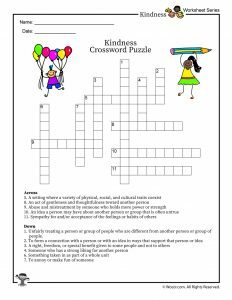 By learning how to be kind toward others regardless of our differences, kids everywhere can learn to be kind classmates and help to create welcoming and inclusive school environments. It’s Okay to be Different by Natalie Carlisle tells the story of a boy with food allergies and how despite having to make adjustments most kids don’t have to, he’s just like most kids his age. Just Kidding by Trudy Ludwig is about a boy who teases his friend in ways that upset him, and how the friend learns to communicate his feelings about not liking being teased. Oliver Button is a Sissy by Tomie dePaola is about a boy who is teased for liking things boys aren’t supposed to like, according to his classmates. A good introduction to gender stereotyping and bullying/teasing. Heather Has Two Mommies by Leslea Newman was a groundbreaking book about marriage equality and understanding that every family is unique when it was released in 1989, with lessons that hold true today. Chrysanthemum by Kevin Henkes – This story about a girl who loves her name, until the first day of school when her new classmates tease her about it. A good illustration of the harm teasing can do and how children can learn to overcome the hurt feelings that result from it. My Friend Has Down Syndrome by Jennifer Moore-Mallinos explores the experience of getting to know someone with Down Syndrome from a child’s perspective. 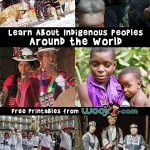 Discrimination – Unfairly treating a person or group of people who are different from another person or group of people. Discrimination is often against the law. _____________ is the use of greater power or strength to mistreat or abuse someone else. (Bullying). _______________ is annoying or making fun of someone. (Teasing). 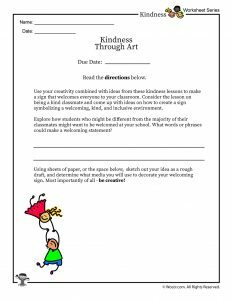 This lesson will encourage students to use their creativity combined with ideas from this lesson plan to make a sign that welcomes everyone to their classroom. 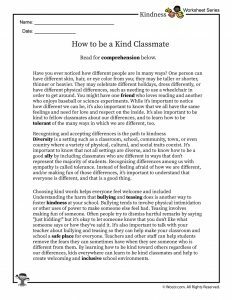 Have students consider the lesson on being a kind classmate. Come up with ideas on how to create a sign symbolizing a welcoming, kind, and inclusive environment. 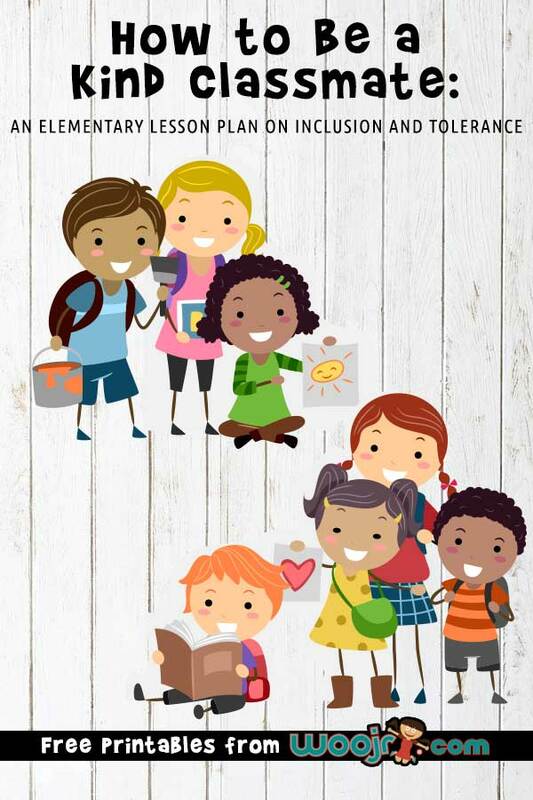 Explore how students who might be different from the majority of their classmates might want to be welcomed at their school. What words or phrases could make a welcoming statement? Using large sheets of paper, have students sketch their idea out as a rough draft, and determine what media they will use to decorate their welcoming sign (fabric swatches, markers, paint, etc.). 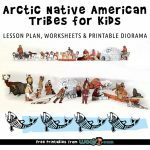 Social Studies Lesson Plan: How Kind is Your School? 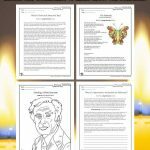 This lesson plan will teach students about inclusion of fellow students, staff, and community members who may not share the same privileges, beliefs, or abilities. 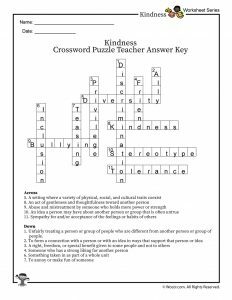 Take a walk around your school and look for the following clues to a kind school. 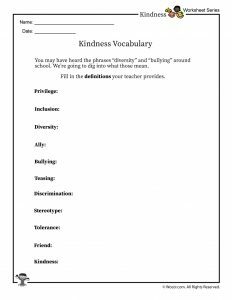 Also have students think about their experience at school over the past week or so and jot down items on this list they may remember, since bullying behaviors don’t tend to happen when there are many students or a teacher present to witness it. 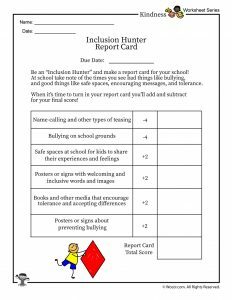 Be an “Inclusion Hunter” and make a report card for your school!